My husband loved this, as did the boys. This favorite was the BBQ. 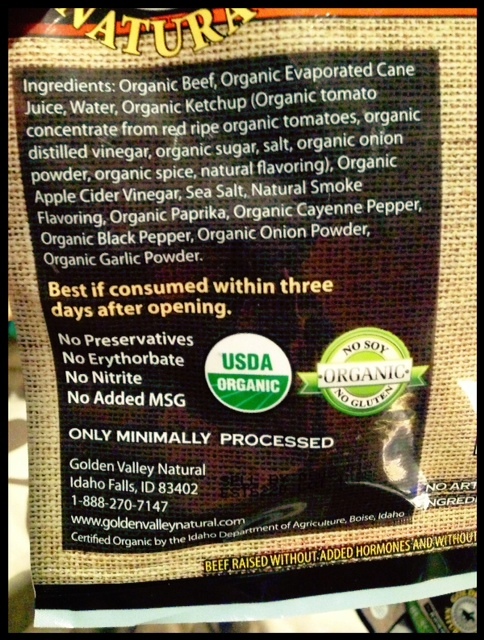 See the back with ingredients below. What wife loves it when their spouse has to travel? Probably none. Obviously, ever since we change our eating habits last year – the whole traveling and eating while not at home has become another focus of his. Since I usually plan all of the meals and prepare, buy and pack all of our food when we travel – he feels a little out of sorts, to say the least. When I wasn’t feeling well, I could tell he was holding back putting pressure on me to help him to plan on snacks, etc… but a few months before – he did mention it a FEW times with a concerned look on his face. “I wonder what I should pack…” he’d say, hoping for suggestions, or perhaps an acknowledgement that I had a plan for him. That alone should have helped ease his travel woes! So I started thinking about purchasing some options for him, other than fruits, and staples he could eat when he GOT to his destination, and could get to the grocery store! I thought it might be helpful to list a few things out in case you travel or need some quick snack ideas to have on hand! Don’t forget to have more on hand than you might need (and pack some plastic-wear if you might need something.) This is essential! Due to weather, he got stuck for an extra night and wasn’t sure where he could get food when he arrived to his second destination. I always make sure I pack him a few extra clothes and extra food. He was extra thankful this time around! Posted on February 25, 2013, in Celiac/Gluten Sensitivity, Our Struggles, Truth and tagged gluten intolerance, healthy for him, things to pack, Traveling GF, Traveling gluten free, Traveling with celiac. Bookmark the permalink. 3 Comments. Ooooh that’s the most “real” beef jerky I’ve ever seen! I LOVE the stuff but haven’t bought it in years b/c half of the ingredients are chemicals and words I can’t pronounce. THAT I would buy. I’ll have to try and find some! Agree. 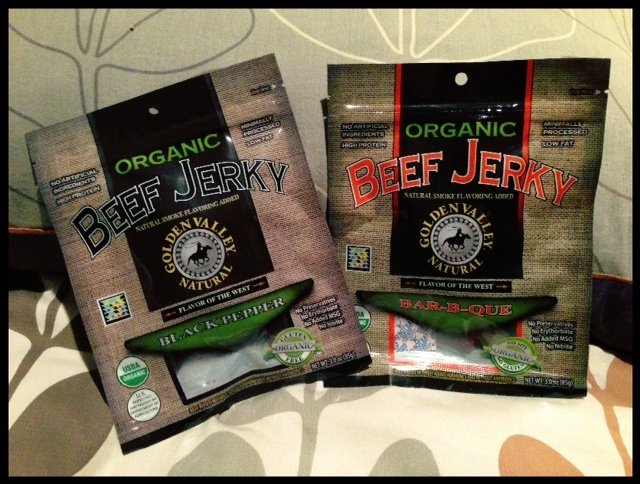 There are some scary jerky-like substances out there! I laugh that it says to eat in 3 days. My crew eats the bag at one “snack” time. We always keeps snacks in the car. A simple snack can make the difference between finishing errands or hurrying home to get something to eat because you or a passenger needs something to eat.